“Gone Away” is one of the two new songs from the band’s greatest hits compilation album, A Decade Of Destruction (out now). 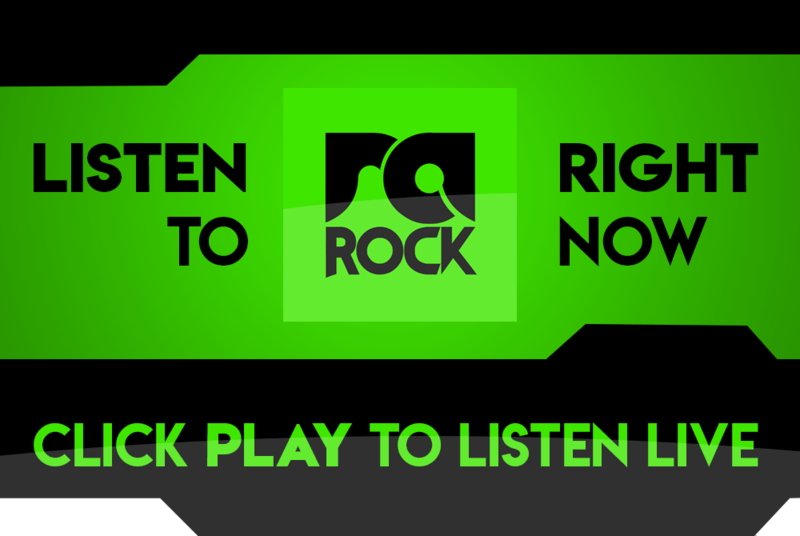 Upon release of the album, the track immediately hit #1 on both the iTunes Rock and Metal charts and broke inside the Top 15 on Spotify’s US and Global Viral 50 charts. The lyric video has garnered over 2 million views, while the song has amassed 6 Million streams worldwide. In addition to the climbing success of “Gone Away,” the first single from the collection, “Trouble” racked up over 2 million streams worldwide in just a few weeks making it the band’s biggest streaming debut for a lead track. Five Finger Death Punch just wrapped up their triumphant European arena rock tour with co-headliner In Flames and special guest Of Mice & Men with a massive show at London’s Wembley Arena. The tour brought the band to major arenas in Germany, Spain, Italy, France, Belgium, Austria, Switzerland, Sweden, Finland, Norway, Denmark, Luxemburg, Czech Republic and The Netherlands. The band will be heading back to The States to prepare for their upcoming and highly anticipated seventh studio album out in Spring 2018. Confidently leading heavy music in the 21st century, Five Finger Death Punch continue to make the impossible a reality at every turn. Since their emergence in 2007, the hard rock band has achieved six consecutive RIAA Gold-certified albums, three of which have gone Platinum since, as well as a platinum single culminating in their 2015 #1 album Got Your Six, while at the same time being one of the top rock streaming acts with over 2 billion global streams to date. In 2016, the band also received the prestigious “Soldier Appreciation Award” from The Association of The United States Army. 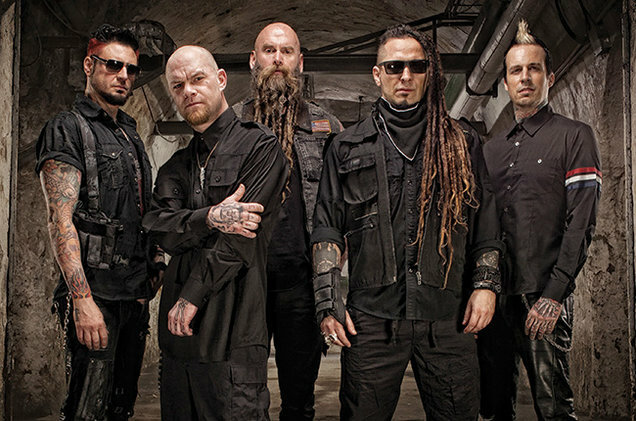 5FDP frequently play all major festivals from Download to Rock Am Ring to Rock on the Range and sell out arenas around the globe to countless screaming “Knuckleheads.” Their 2017 Greatest Hits album A Decade Of Destruction boasts two new singles, amongst them “Gone Away”, a cover of the 1997 song by The Offspring. 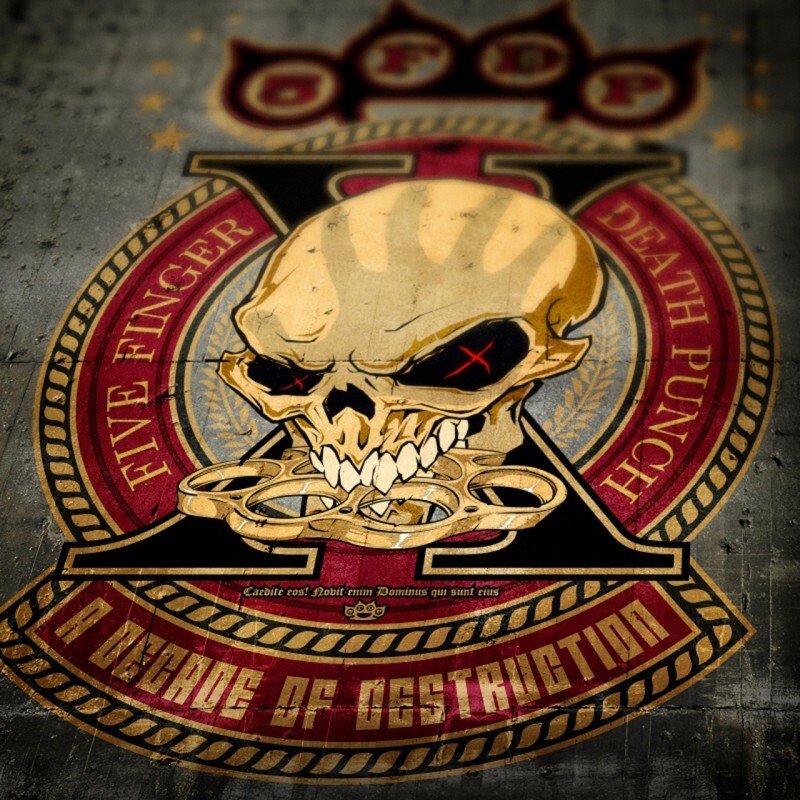 5fdp’s forthcoming seventh album anticipated to be released in Spring 2018 will undoubtedly raise the bar again.